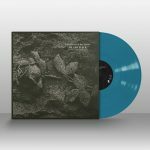 Background/Info: I discovered the French Horskh- duo (Bass and Briou) by the extended version of the “Dawn”-EP. The Frenchmen are back on track unleashing their debut album featuring 12 cuts. 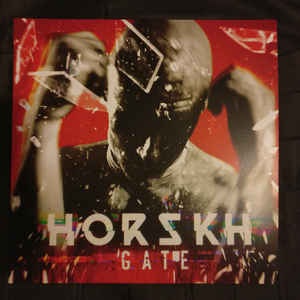 Content: I’ve been totally addicted to the “Dawn”-EP and “Gate” only confirms the potential of Horskh. Their sound is an explosive fusion of EBM, industrial-music and techno. Electronics and guitar parts have been merged resulting in an overwhelming production carried by powerful sound blasts and deep resonating bass lines. Horskh feels like a hybrid between Cubanate and Combichrist plus electronics treatments which might remind you of Komor Kommando. + + + : Horskh is not reinventing electronic or industrial music, but this band has a real creative spirit to mix genres together resulting in a heavy sound. 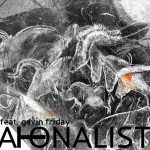 Call it visionary industrial music or simply hard electronics mixed with powerful guitar riffs, the result is however mind-blowing. The electronic treatments are raw and sometimes joined by technoid elements. Heavy electronic blasts sound like real electroshocks! The guitar playing injects the industrial touch to the work and only increases the power running through “Gate”. The vocals are in perfect symbiosis with the rage animating this production. – – – : Except the short “Sleep” intermezzo, this album has no real points I would imagine to improve! The main difficulty for Horskh will maybe to find the path leading them to a wider recognition. Conclusion: In times where too many bands are sounding the same or simply like to sound as their idols, Horskh is a real relief! Power and rage both have been joined with great creativity resulting in this astonishing work! This already got my full support and I can only encourage you to discover the “Gate”-album. Best songs: “Victim”, “Strayed Away”, “Engaged And Confused”, “Trigger”, “Against”, “Intruder”.